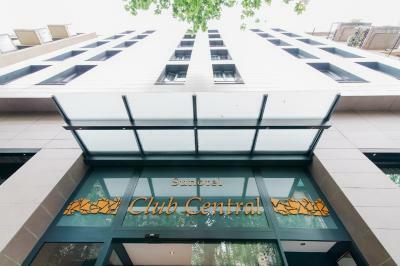 Lock in a great price for Sunotel Club Central – rated 8.4 by recent guests! Overall great experience. Staff was very kind. They even had the patience to let me practice me questionable Spanish :).The room was clean and comfortable. There were some very good restaurant options nearby. Make sure to checkout Roast Club Cafe down the road. 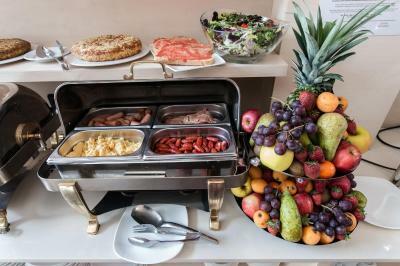 Breakfast was above average and plenty available. But it should be for $28 euros. The location is absolutely wonderful and the hotel is very nice. They were kind and they left a bottle of Cava on the house for my husbands birthday. It was very nice. I notified the hotel that the guests next door were particularly noisy - my room was changed immediately, without no comments. Staff was helpful. Location was good, even though there is no metro close by. Very comfortable bed n pillows. Staff very helpful. 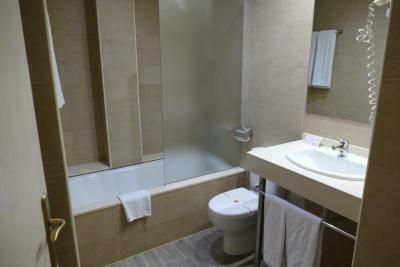 Room was simple and nice in calm area of Barcelona and just 800m from core. Will recommend to my friends as well. Bathroom was a five star and which is more important all brand new and clean. Staff was also very friendly and helpful. 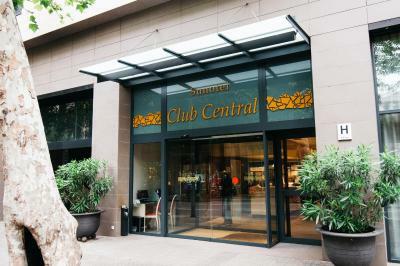 Sunotel Club Central This rating is a reflection of how the property compares to the industry standard when it comes to price, facilities and services available. It's based on a self-evaluation by the property. Use this rating to help choose your stay! One of our best sellers in Barcelona! Featuring an outdoor swimming pool and hot tub on its terrace, Sunotel Club Central is set in Barcelona’s elegant Eixample neighborhood. 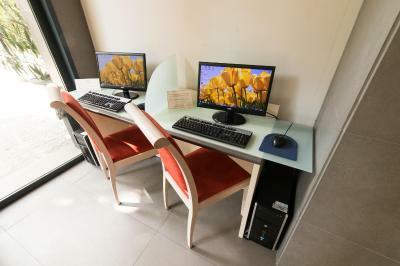 Each modern air-conditioned room has free, high-speed WiFi, a TV and a mini-bar. 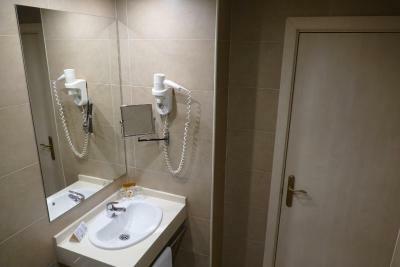 The private bathroom includes a bath, shower and hairdryer. Sunotel Club Central features a cozy bar, serving snacks and drinks. There is also room service available. The hotel has a 24-hour reception, and free bicycles are available upon request and subject to availability. 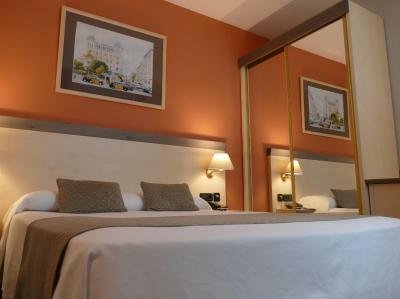 Passeig de Gracia, with its Gaudi monuments and designer shops, is a 10-minute walk from Sunotel Club Central. 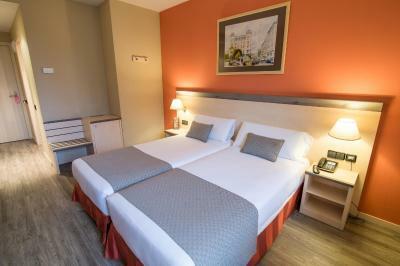 The famous Las Ramblas Boulevard and Plaza Catalunya are a 15-minute walk from the hotel. 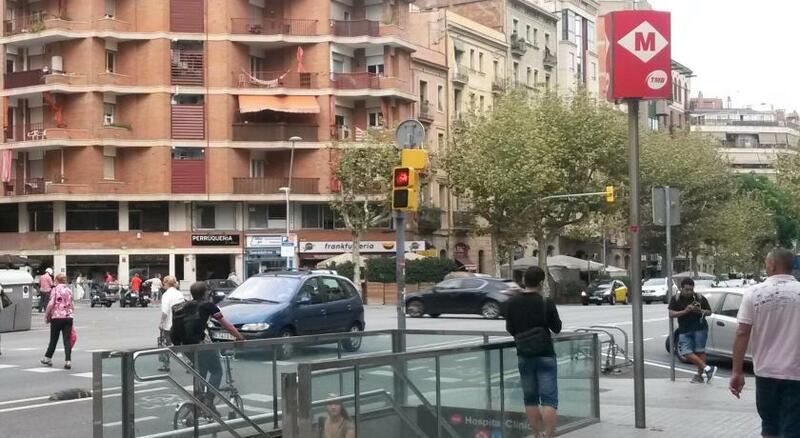 Barcelona Airport is 9.3 mi away, and you can catch an airport bus in Plaza Catalunya. When would you like to stay at Sunotel Club Central? House Rules Sunotel Club Central takes special requests – add in the next step! Sunotel Club Central accepts these cards and reserves the right to temporarily hold an amount prior to arrival. 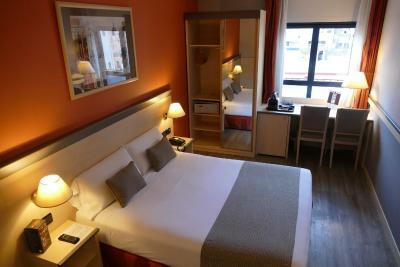 The beds are extremely small, I had to pay 10 extra euros per night in order to get a larger bad from 1.35m width to 1.50m? And this is for a 4 stars hotel? The single beds,the lack of complementary water. Noise from other rooms. One key given. 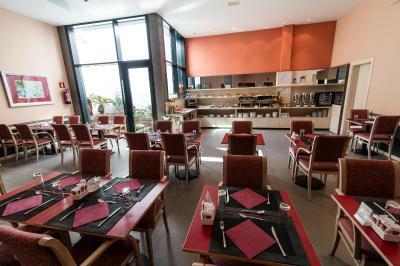 The location is great, it is close to good restaurants and historical places. The staff is friendly and helpful. I very recommend this hotel. The location was on the edge of walking distance from the main areas so I ended up getting tired of walking back and forth so much and ended up taking a lot of taxis which added up in price. 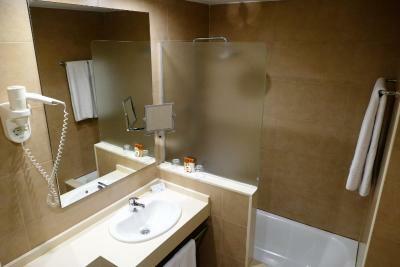 Comfortable room, very good shower! The only negative is that the walls are really thin and you can hear everything from the rooms around you. The staff are lovely and the hotel is really nice and clean. A bit noisy. You could hear chairs being dragged around in other rooms and the shower from the room next door was very loud. Still very good value for money in a good location! Very friendly staff and good luggage storage service for before check-in and after check-out. The free bicycles should not be promoted as a bonus. When I was trying to select one out of the seven available, I found everyone of them in disrepair. Several that I checked had very marginal brakes. I selected the best one and after riding about one block I returned it. The brakes levers needed adjusting and the handlebar was loose. I then paid to rent a safe bike from a bike shop. The rental was only 12 euros for four hours including theft insurance. Our safety is worth more than that. I'm an experienced bicyclist and as such feel that all of the bikes should be trashed. They are beyond reasonable repaired. This fine hotel should stop their promotion of free bicycles as a bait to prospective guests. This "bonus" offer is misleading if not deceitful. Only one working elevator, view on quite messy backyard. 5 minutes walk to subway, 2 min. to bus stop. Very friendly and helpful staff. I expected that a hotel like this would have at least some bottles of water and tooth brush in the room. The walls are very thin and you can hear perfectly the conversations in the other rooms. Nice breakfast. Very good location. Very comfortable beds.